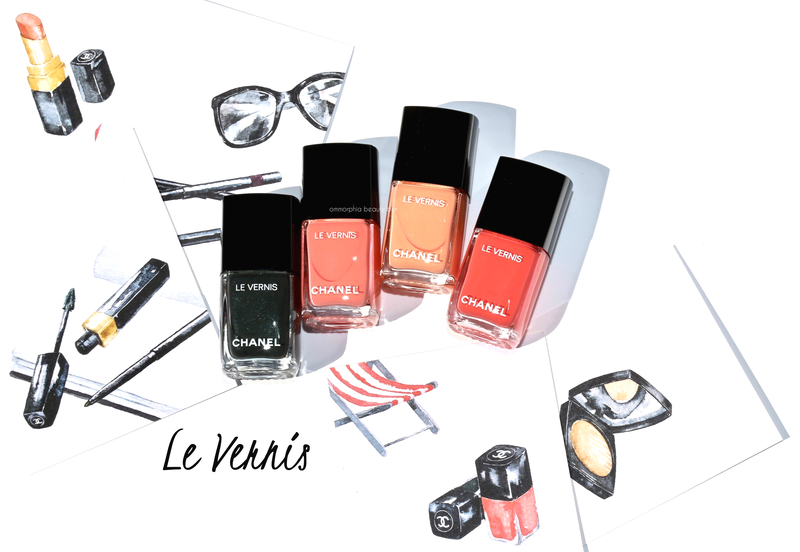 I’ve been ready for Summer to arrive since Winter began, and the CHANEL Les Indispensables de L’Été Cruise 2017 Collection (holy moly that’s a mouthful) has just brought me that much closer to the heat I crave. As this is Global Creative Makeup and Colour Designer (another lengthy title) Lucia Pica’s very first Cruise Collection for the brand, she turned to Coco Chanel herself for inspiration, in particular Mademoiselle’s love of bronzed Summery hues and the easy vibe the season imparts. For the record, this thoughtfully curated collection has totally nailed what Summer’s all about: freedom. My review on the rest of the collection will follow shortly – stay tuned! Also, note that the CHANEL website lists all but Coralium as limited edition, although my press info doesn’t say anything about that – but I wanted to mention it just the same. 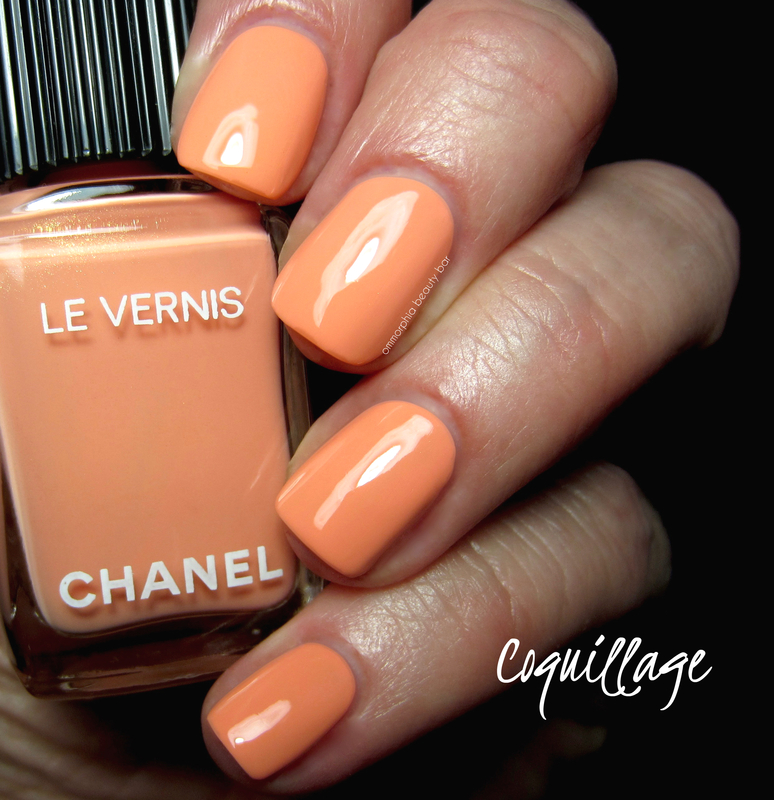 560 Coquillage (CAN $32.00) | Described as a ‘milky orange’ is almost right, but there’s a bit more to this shade than that. 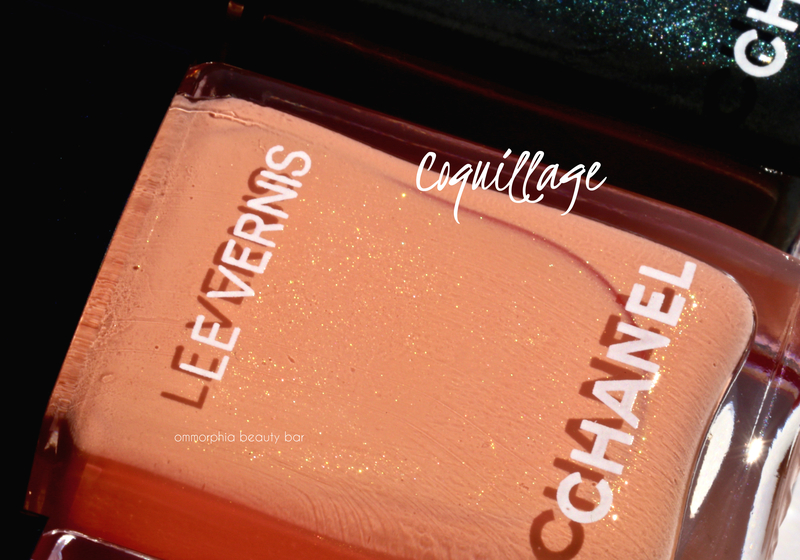 I see Coquillage more as a seashell peach/apricot hue, filled with incredibly fine golden shimmer that sadly doesn’t really show up to play unless seen in direct sunlight, but nevertheless adds a nice depth of tone just the same. Self levelling in application and coming to a glossy finish, this is a sophisticated take on a traditional pastel — and one I can totally get into. 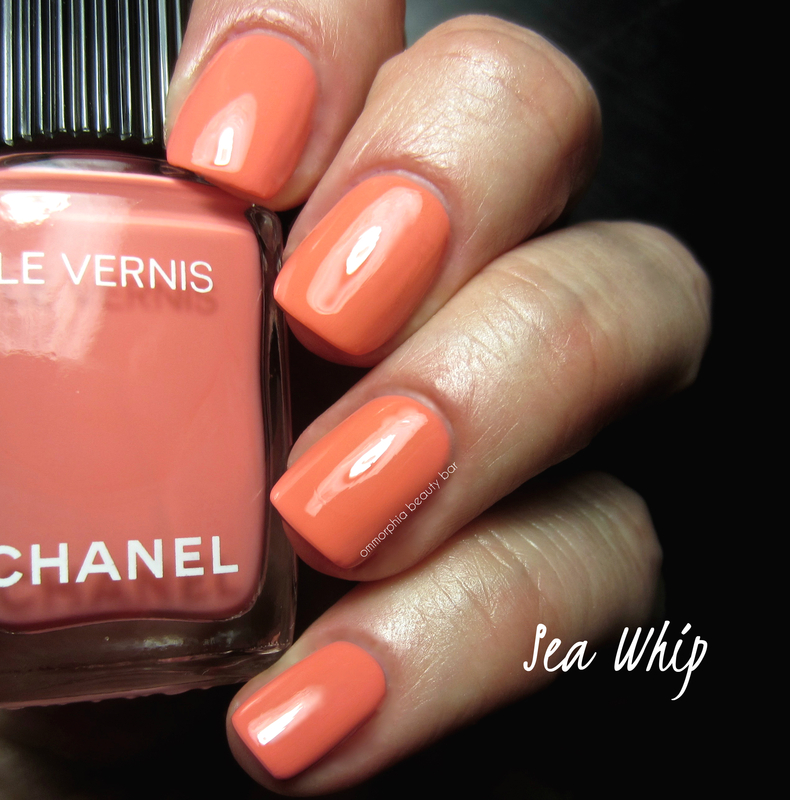 564 Sea Whip (CAN $32.00) | Described as a ‘milky pink’ is a bit of a misnomer, as this is definitely more of a coral pink crème (but the milky part is right). Self-levelling, minimal patchiness seen even with the first layer, and coming to a glossy finish, this shade is fully opaque at two coats and what’s more, I’m absolutely LOVING it. Who would have guessed that? There’s something about it once applied that I can’t get enough of and I’m fairly sure it’s going to be getting quite a bit of love from me all season long. 558 Sargasso (CAN $32.00) | Described as a ‘grey varnish’ (ummm.. not exactly) with ‘bluey-green shimmers’ (absolutely), Sargasso is 100% within my moody-looking shade wheelhouse. A deep pine green hue that’s filled with ultra fine teal shimmer, the formula has a jelly-esque feel to it that in turn adds a bit of spring to the application and an amazingly glossy finish. The best part? Non-staining upon removal. 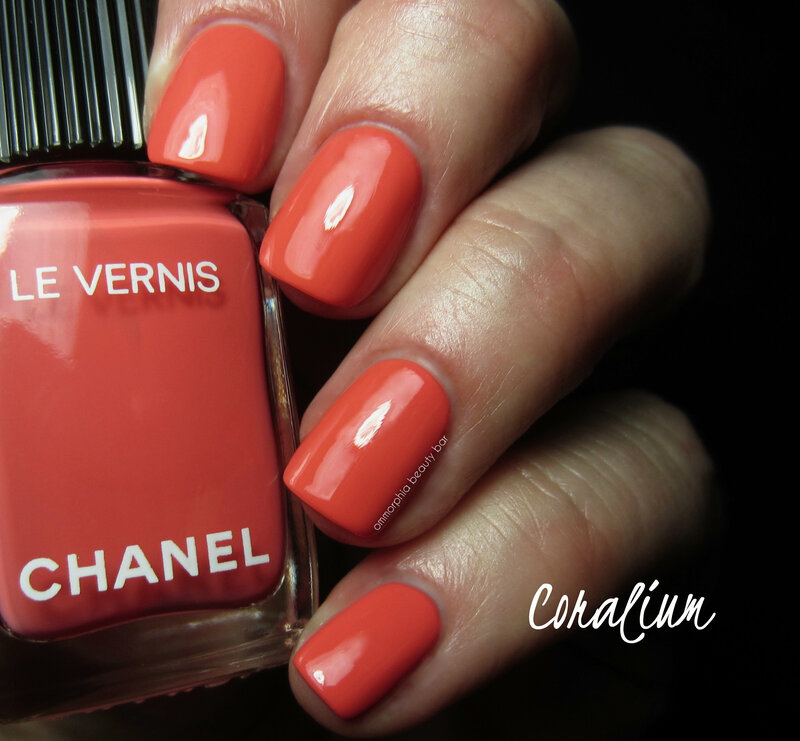 Well done, CHANEL. 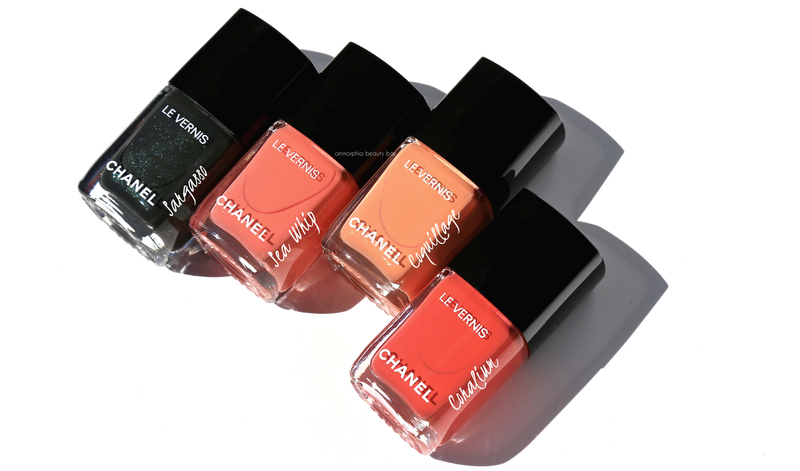 In the event you’re wondering why I didn’t pull any previously released similar shades from CHANEL to compare these lacquers to, it’s because ever since the formula changed all the older shades have since been discontinued and therefore I didn’t want to muddy things up for anyone (that said, feel free to ask any questions re: comparisons in the comments section and I’ll do my best to comply). Yes, we’ve all seen corals before and all their iterations, so are these groundbreaking? No … and yes; the formula on each was a pleasure to work with and I’m not sure exactly how CHANEL tweaked things up colour-wise, but for the first time I’m able to pull off shades like Coquillage, Sea Whip, and Coralium and what’s even more surprising is that I love how they look against my light-medium skin tone — I can only imagine how beautifully they’ll pop against a light tan. And then there’s Sargasso … ahhhh….now this beauty is not only a nice counterpoint to all this Summery frothiness, but will look absolutely killer in the cooler months too (not that I’m in any rush for Winter, mind you). I’m so in love with your swatches and even more in love with your description! 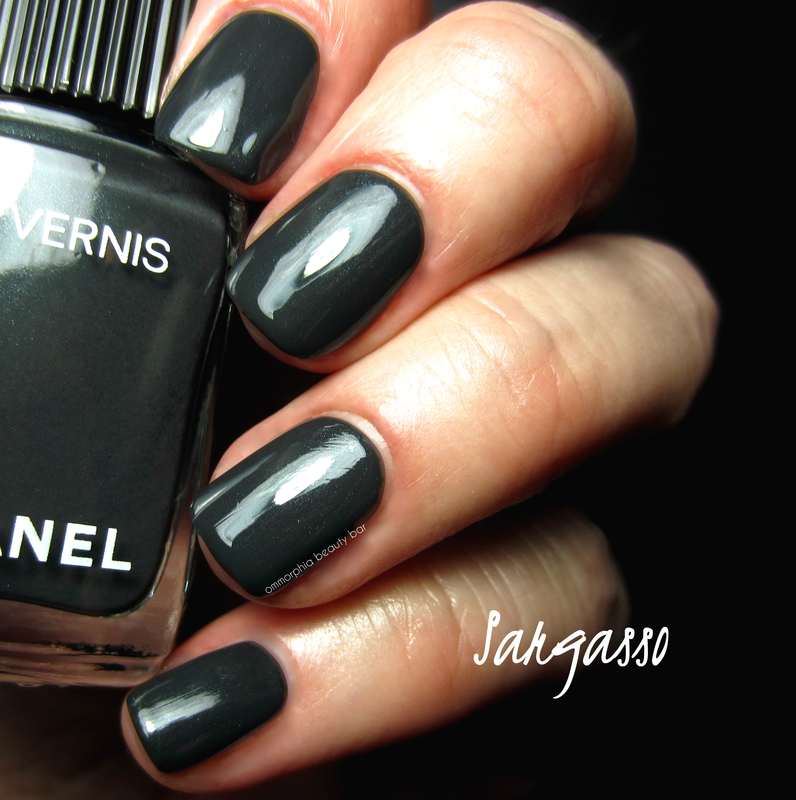 For some reason, my obsession with Chanel had diminished. But after reading your posts it has flared up with renewed vigor. Thank you for all the beauty you share with us! I’ve been silently following you for such a long time but this time I just can’t contain my words of delight! WOW — thank you for such kind words, Vera and I’m so very happy to have you along! I absolutely love hearing feedback because it helps me know that I’m on the right track and seriously, your comment just made my day! ?? Thank you very much for your reviews. Always enjoy reading them. Most informative!! Super!!! 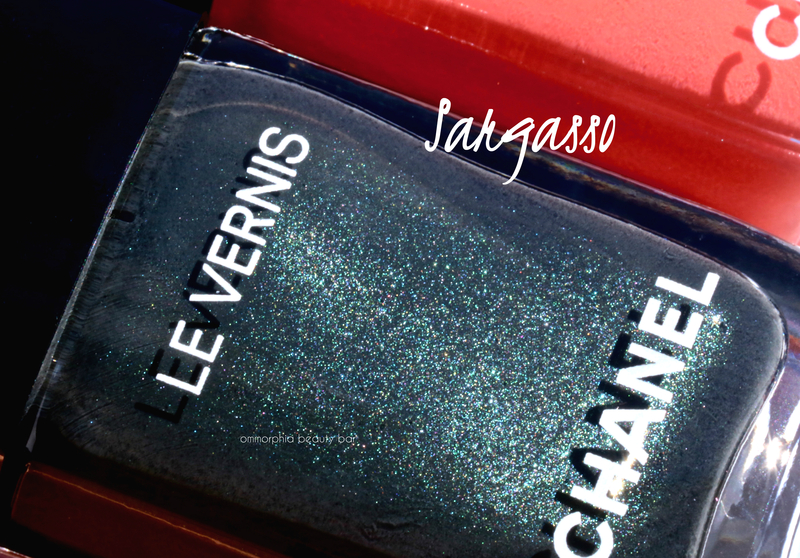 I know this collection is supposed to be about the bright shades but Sargasso is STUNNING! Right? I really love mysterious shades like this and thankfully Sargasso lets in enough light that it doesn’t come off as black! Thanks so much for the kind words, Melanie! As to Sargasso’s shimmer, it’s definitely still visible when dry but really pops when direct light hits it – nothing crazy outrageous, but there just the same!